Eating out costs a lot in Singapore and the prices seem to keep going higher. However, a couple of new restaurants feature menus with sane prices and great food. Bar-A-Thym (18 Gemmill Lane, tel: 6557-2224) is one of them. The restaurant is headed by chef Francois Mermilliod, a veteran on the food scene here, having worked at Absinthe and Flutes on the Fort. Now, he has his own place and the restaurant name is a play on the French word "baratin", which means sweet talk. I don't know about sweet talk but the prices certainly are sweet - $38++ for a three-course set lunch, with three choices for each course. 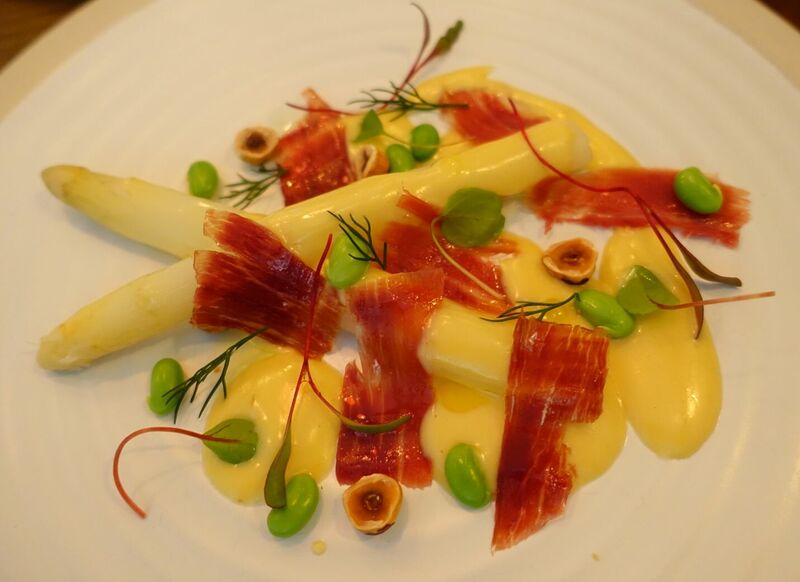 My favourite starter features juicy asparagus with Hollandaise sauce, edamame beans and Iberico ham. For the main course, the minute flank steak and springy Iberico pork are great. Dessert is where things get difficult, because all the options are good. The cheese selection includes a beautiful bleu d'auvergne, for instance. There is also a rich slice of fudge topped with hazelnuts and decorated with a swirl of caramel, and vanilla religieuse, a French pastry made with choux that is supposed to represent the papal mitre. Both are good but the religieuse will not put you in too much of a food coma. In supermarkets and fruit shops, mangoes are everywhere at the moment, and it is a good time to indulge in the fruit. 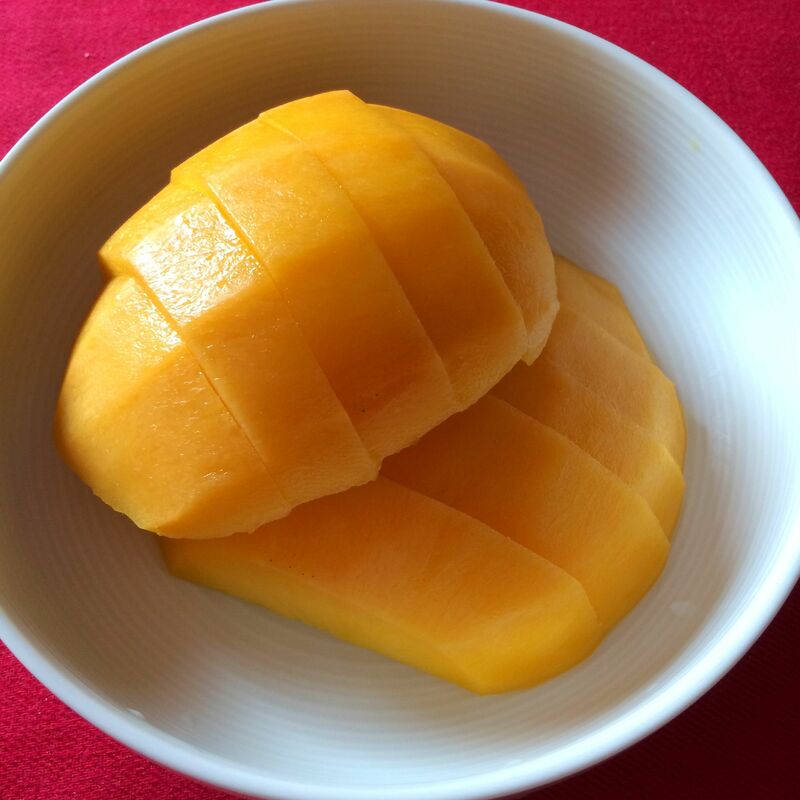 This Australian mango made a lovely treat on a recent Sunday, when Singapore skies cleared of haze for just a while. With strawberries going out of season, and no good peaches this year, I'm glad there are sweet mangoes to enjoy. Harumanis and Mana Lagi from Indonesia, and Thai honey mangoes are next on my hit list. New restaurant 5th Quarter (39 Syed Alwi Road, tel: 6291-1936) gets its name from "quinto quarto", the Italian term for offal. There are offal dishes here of course, including Salt N Pepper Tripe ($10), crisp and so very addictive, and springy slices of Beef Tongue ($12) with onion and wasabi. But in case you are not into off cuts, the menu is full of wonderful temptations, and some friends and I order up a storm at dinner there recently. The wonder of it is that our meal comes up to less than $70 a person, even with a half bottle of sherry. Chef Drew Nocente knows meats. 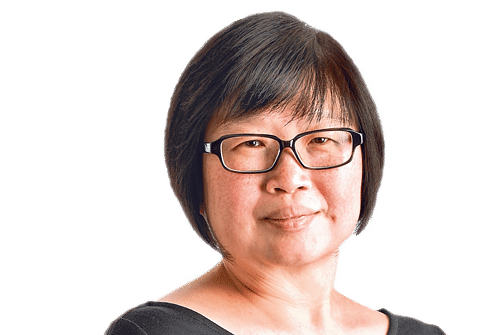 The Australian used to work at Skirt at the W Hotel in Sentosa. I love the offal dishes and am really enchanted with the quenelle of smoked lardo that comes with the apple fennel bread ($6). Thin ribbons of the lardo appear on the charcuterie platter ($22) too, and they are fantastic. So is the duck prosciutto. 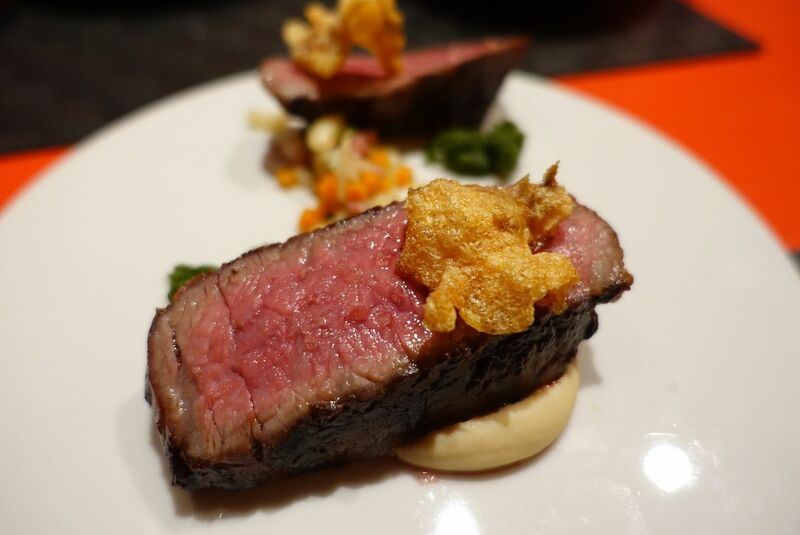 But one of the best dishes in our meal is Rangers Valley Black Market sirloin ($56), cooked beautifully medium rare and with a solid crust from its time in the Josper grill. Dingley Dell pork collar ($32) is also pink in the middle and so very springy. The plush red decor of the restaurant is at odds with the hearty, unfussy food. But that is a very small quibble. It is so hard these days to find a new restaurant that is more substance than style and 5th Quarter has substance in spades. On a recent Friday, I step into Clinton St Baking Company & Restaurant (31 Purvis Street, tel: 6684-4845) at 3pm and the place is packed. I am on leave but I wonder why so many people are able to play hooky from work. I guess the siren call of a famous New York brunch place opening in Singapore is hard to ignore. When I go to new restaurants, one of the questions I ask is: Why would I go back? For this restaurant, there are two reasons: the lovely and light pancakes ($18) and the Boozy Shake ($15). 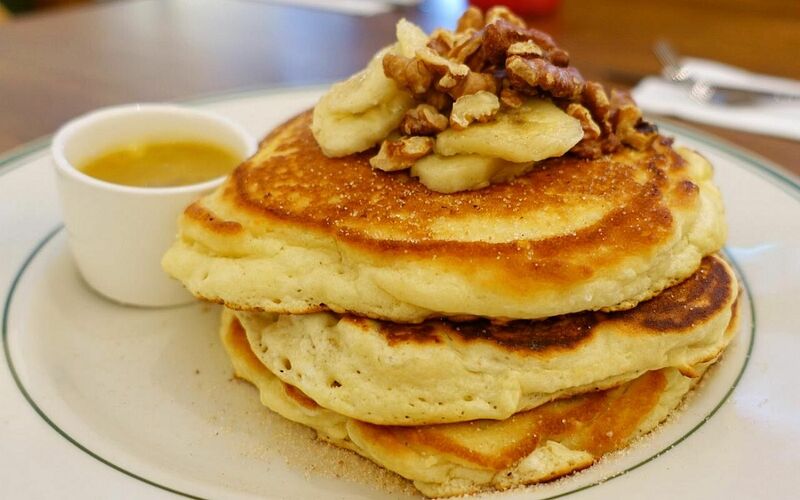 I choose the banana and walnut pancakes and the stack of three comes topped with sliced bananas and chunks of walnut. There is more of the fruit and nut in the pancakes. They are so light they could probably levitate and the maple butter is perfect with them. The shake has salted caramel in it, which I cannot resist, and a good slug of bourbon. It is anything but insipid. I have high hopes for Chicken & Waffles ($21) but it is a complete let down. The waffle is dense and the chicken is thin, dry slices of chicken breast. Stick to pancakes and you'll do alright here. The noodles at Da Lian Traditional Noodles (216G Syed Alwi Road) are middling. They need a good deal of black vinegar to make me want to eat them. But in the evenings, it sells fantastic barbecued chicken wings. 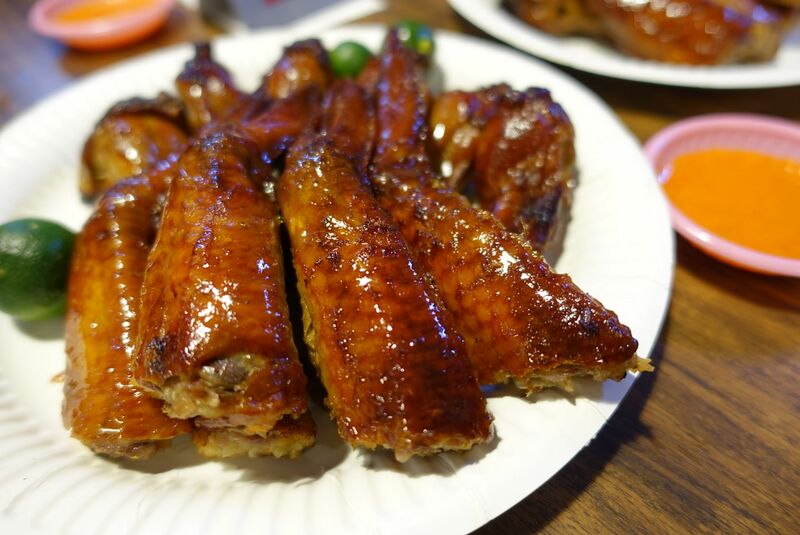 Now I am a devotee of Ah Hwee's fantastic wings at Changi Village food centre but these ones might be just a little bit better. The wings ($1.30 each), come beautifully burnished, but that is to be expected. Bite into them, however, and the ever-so-thin skin makes me swoon. It is light, it is crisp, it is magical. Although the chilli dip that comes with the wings looks benign, don't be fooled. It packs a punch. I'm happy to eat the wings as is because that way, I can enjoy the crackly skin.